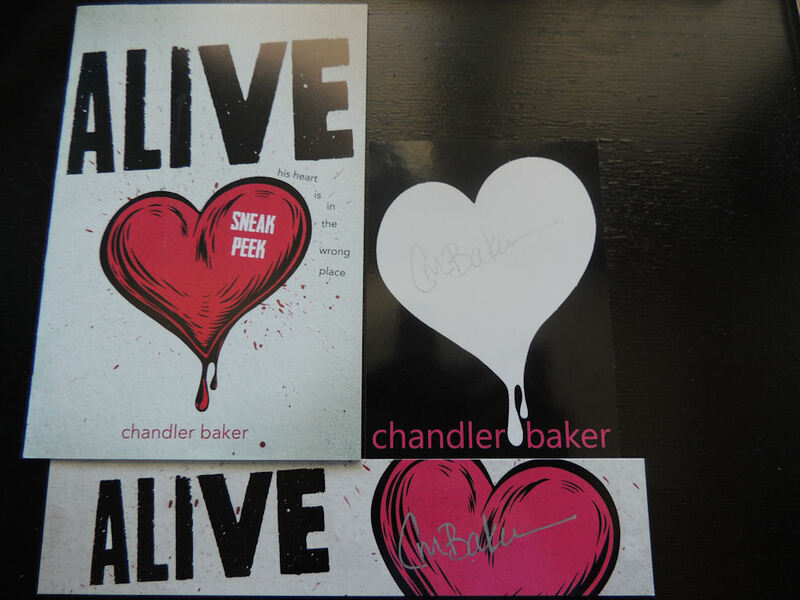 This can be Book related merchandise I bought or Swag I received from authors or contests or etc..
Swag for Alive by Chandler Baker! 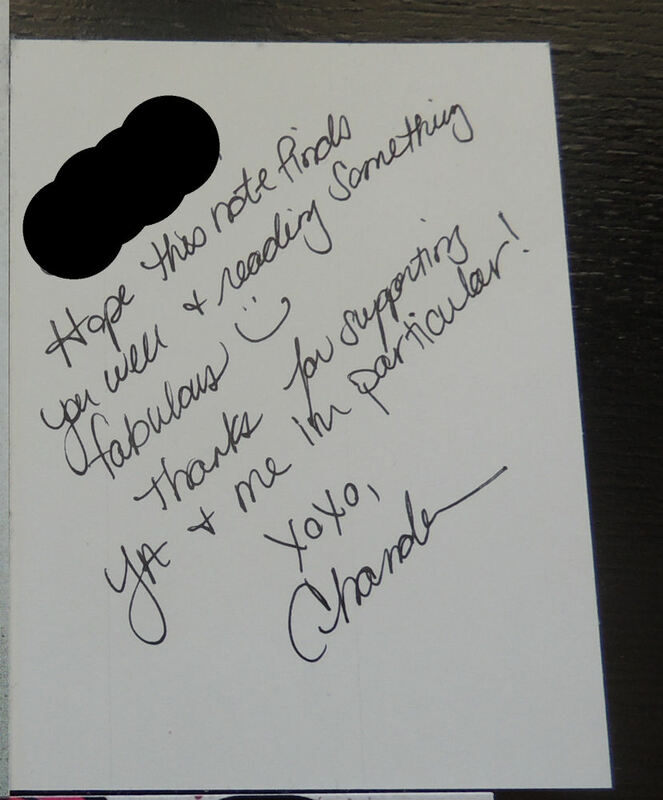 So hereby, I received a booklet (with excerpt for her upcoming book), a bookmark, a sticker with a lovely note on the back, and they were signed! Thanks so very much Chandler Baker, I can’t wait for the book to come out. Thanks so much for sending me this lovely swag, I am so happy! Just a week ago I participated in the Twitter ask-me-anything from Kara Taylor, author of the awesome series Prep School Confidential (see pictures below the swag pictures). A Lovely Badge to be worn all the time. Badge, Don't Get Mad, Get Even, Gretchen McNeil, Pre-order It! As most of you know, I went to Animecon 2014 last weekend. While there, I was browsing the dealer room, and found these super adorable and cute little bookmarks. I will need to fix them a bit, since the clip (that is supposed to go over the page) is really tight and it takes effort to put it over a page without damaging the book. And I hate damaging my books (even library books are precious). I have started using Twitter since April/May, and wow, it is pretty darn great if I have to be honest.